A Belted Kingfisher chatters busily up and down the creek, perhaps, i imagine, complaining an evolutionary memory of a more natural channel path, a memory shared by the Great Blue Heron pacing a slow moving eddy along the high, eroding banks. It's great to read that the Hamilton Conservation Authority is investing in returning the creek to it's more natural snaking route. Better habitat for the fish and birds who carry out their annual cycles there. Better for the surrounding floodplain plants and the species who rely on the switchbacks and seasonally changing water levels, rather than the fast flow down a straightened channel, more akin to a drainage pipe in design. Not sure how spring canoeists in search of beer will like it. Maybe it will be an easier paddle. But good for the HCA and their partners for rehabilitating this special and rare great lakes habitat. A $1-million plan to restore the channelized stretch of Spencer Creek by Cootes Drive to a more natural, meandering form is being hailed as "a gem" that has the potential to protect the area's imperiled turtle population and transform Lake Ontario. Ecologist Tys Theysmeyer, head of natural areas for the Royal Botanical Gardens and a member of Hamilton Harbour's remedial action plan, said he's "thrilled" by the project, which is being spearheaded by the Hamilton Conservation Authority. 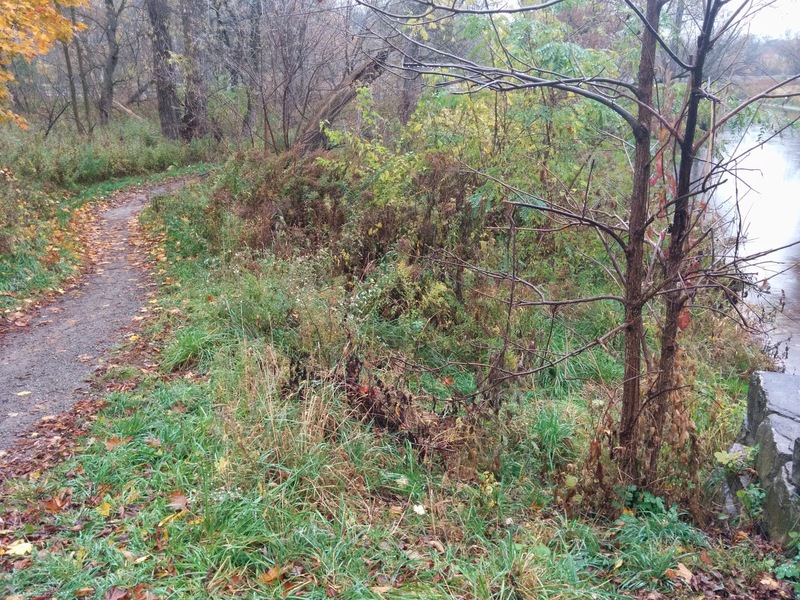 Other key elements propose to move the existing trail by the creek closer to Cootes Drive, replace dead ash trees, remove invasive grasses and create nesting areas for turtles so they don't have to risk their lives crossing the road. Theysmeyer said the significance of the creek and Cootes Paradise inlet to Lake Ontario's ecology is underscored by the restoration being one of only two Canadian projects, out of 125, to receive funding from a Great Lakes sustainability fund. While the plan will go through public consultation before work begins in the spring, he said he believes the impact for visitors to the area will be similar to the Waterfront Trail's on the west harbour. "It is very exciting. We're kind of looking at reimagining an area that's been a certain way for, what, 150 years? We've gone through a whole cycle and we're entering a new era," Theysmeyer said. "The other side of it that's difficult to appreciate if you've just lived here the whole time is how much the international community values these areas on the Great Lakes," he said. Hazel Breton, the authority's manager of water resources engineering, said the restoration is getting $125,000 from the Sustain Our Great Lakes fund and $53,000 from the Ministry of Natural Resources, which hopes to re-establish walleye habitat. But she said students from the University of Waterloo and Niagara College will also donate "hundreds of thousands of dollars" of design work. Breton said although the goal is to realign the stretch of Spencer between Thorpe Street and Cootes Drive, the initial phase will focus on about 300 metres closest to Cootes, with future phases moving upstream as funding becomes available. She said the authority must spend the grant money by the end of March, but she wants to assure the public it will first have its say on the transformation, which will seek to balance erosion, flooding, ecology and community considerations. Creating safer turtle nesting areas is a critical component, she said, because the existing ones are often in heavily trampled areas and targeted by predators like raccoons, adding to the toll of road kills.